The Birds SA Conservation Fund was established to provide research grants to encourage and promote research into the birds and their habitats. The Birds SA Conservation Fund Committee considers all applications for grants from the Birds SA Conservation Fund with this intention in mind. 1. increase knowledge and understanding of birds and their habitats. 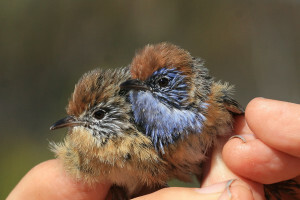 2. relate to management and conservation of Australian bird species and their habitats. 3. investigate factors relating to declining or threatened species of birds. *3 digit number on the signature strip. AMEX, 4 digit number on the font.